Avocados from Kenya are still fully available, but exporting company Keitt is already looking towards the future. Recently two farms were purchased and the focus is on reaching better quality and better yields. 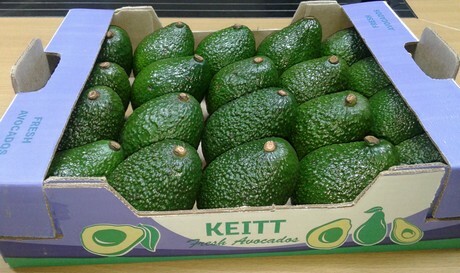 Keitt currently sends about 500 containers of avocados by sea, and a similar amount by air. The company hopes to increase it’s yield though: “We currently own three farms ourselves and have recently purchased another two farms with established nurseries. After Fruit Logistica we will also have an avocado specialist grower from Israel come over, who will stay a while with us and our growers. Our growers will receive special training from him, which hopefully will put us one step ahead of the game.” says Devraj. Most importantly, Keitt is preparing for a trip to Berlin, as the company will have a stand during the Fruit Logistica exhibition: “We expect to have some good business reviews with all our customers in Europe , we will have some brainstorming sessions due to Brexit as we are looking for price inflations at the same time. This is always a challenge, but I’m sure we will reach a good conclusion. We look forward to getting projections and forecasts, growing programs from our customers etc. Being at Fruit Logistica as a visitor is helpful, but having a stand where potential customers come eye to eye with your fruit, there is no better business card than that. As when people return from the fair, they will remember you and your produce. This can lead to a great business relationship.” Devraj concludes. Keitt will attend Fruit Logistica 2019 in Berlin. You can find their stand in Hall 26, stand number F24.